OoThe morning was perfect: a few clouds and a warm, but not hot, sun. We drove past Assisi in the van and wound our way up Mount Subasio, through recently plowed fields, olive groves and woods that were beginning to wear autumn colours. 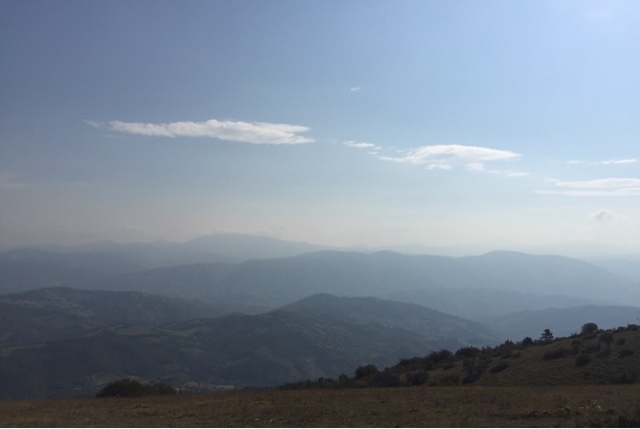 With height, the woods gave way to scrub and thin grass up to the summit where to the west was the plain of the Tiber and to the east the Appenines. There was a breeze blowing that was perfect for flying. 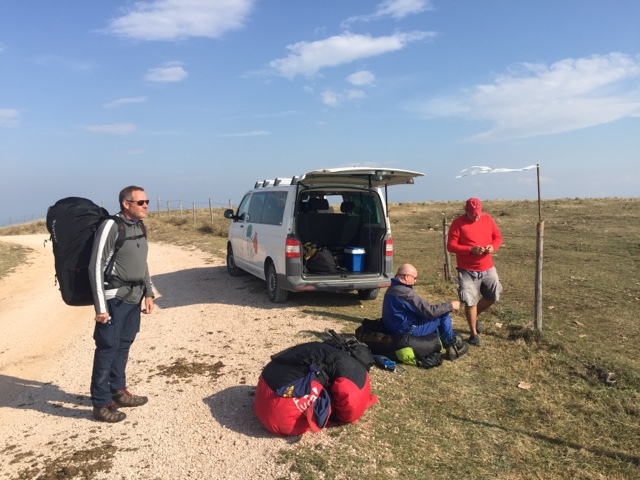 After many days of bad weather we dismounted the van and gathered together our paragliders. It was as good as was promised with 'dynamic' lift - updraft from the wind hitting the side of the mountain - to keep me up as I tracked along the hill. 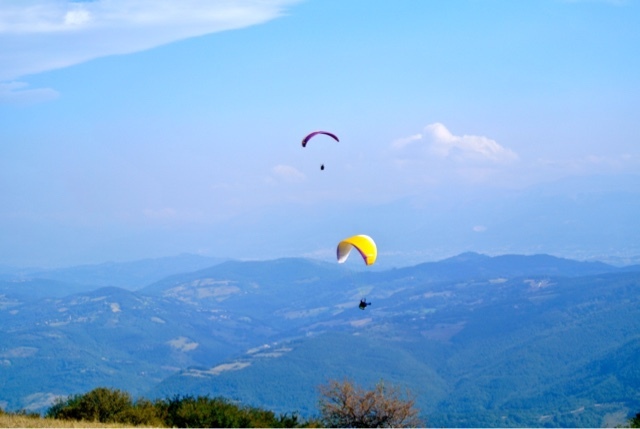 Occasionally I would hit a thermal of rising warm air that would take me up at a rate that hardly seemed possible until I was a thousand feet above the summit with Assisi and Perugia spread out below. Eventually I flew out over the valley where it was almost difficult going down, with air rising from the heating valley floor. Away from the mountain I do what I always do on this sort of occasion. I leant forward against my harness and at the same time rested my hands in the brakes so that I had the attitude of a soaring bird. In this position, if you make the motions of a bird turning, the glider goes with you. There is a faint wind noise and Umbria was spread out below me. A bell sounded from Assisi, then another from across the valley and then another, until the whole valley was pealing the Angelus. A falcon circled beside me, enjoying the same thermal. I was on my way to heaven.